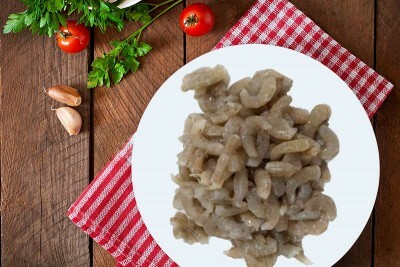 Fresh Tiny Prawns belonging to the Thelly Chemmeen variety, great for curries and fries. These are hard to source, generally found in the estuaries and considered a delicacy. Most people prefer to just remove the head & whiskers and cook without removing the Shell or tail, making it easy to clean. Editors Recipe Recommendation: Tiny prawns curry with raw mangoes!